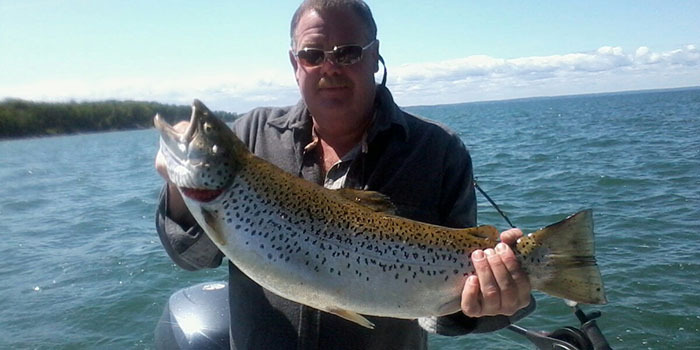 The Captain and crew at Orca Charters has been fishing Lake Ontario and Oneida Lake since 1984. 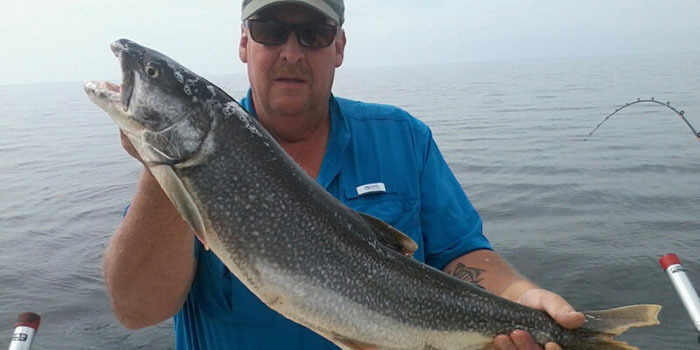 Let our experienced team and well equipped Baha boat work to get you on the fish! 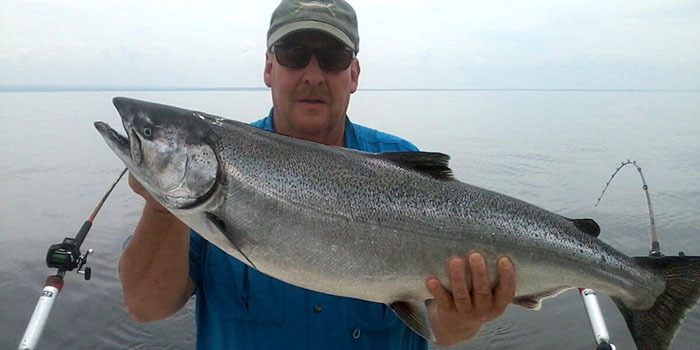 Known as one of the best fisheries in the United States, Lake Ontario provides an exceptional setting for chasing down trophy Salmon, Trout and Walleye. 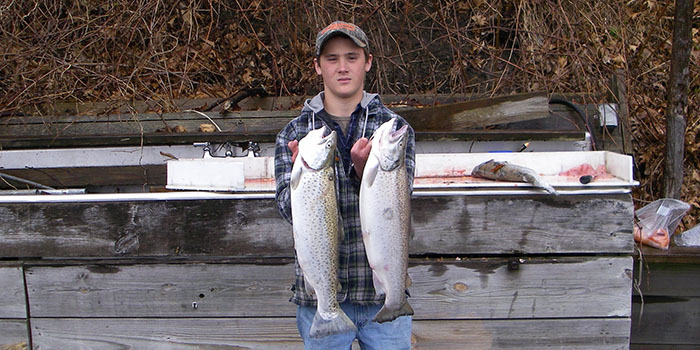 Launching from our private docks in Pulaski, NY, Orca Charters is conveniently located to fishing one of the many shelves or estuaries as well as close to deep water for the larger trout and salmon. 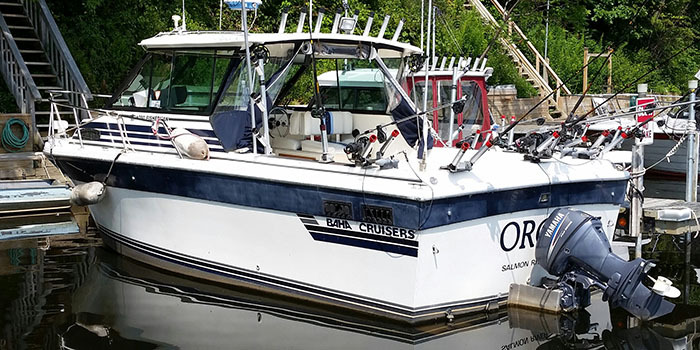 Whether trolling the shoreline or tributary mouths or heading out to deeper, open water, a day on the lake with Orca Charters is not something you will soon forget. 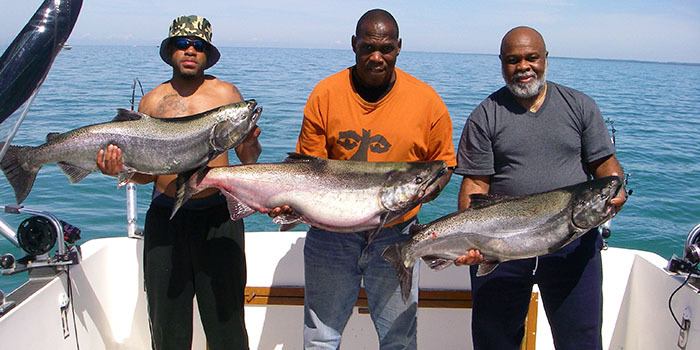 Lake Ontario fishing allows us the ability to fish for a variety of species or specifically target one based on the time of year, weather and/or fishing conditions. 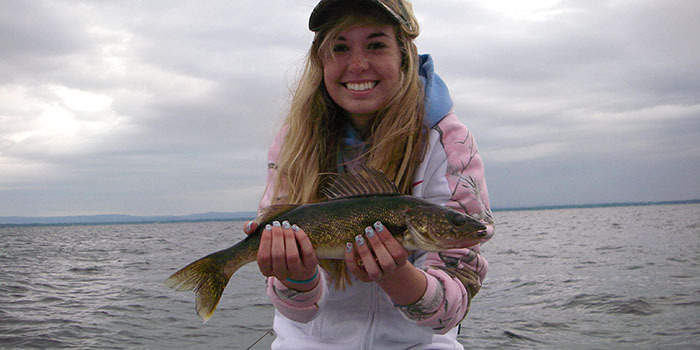 Be sure to check out our photo gallery to see only a few examples of some of our productive days on the lake.